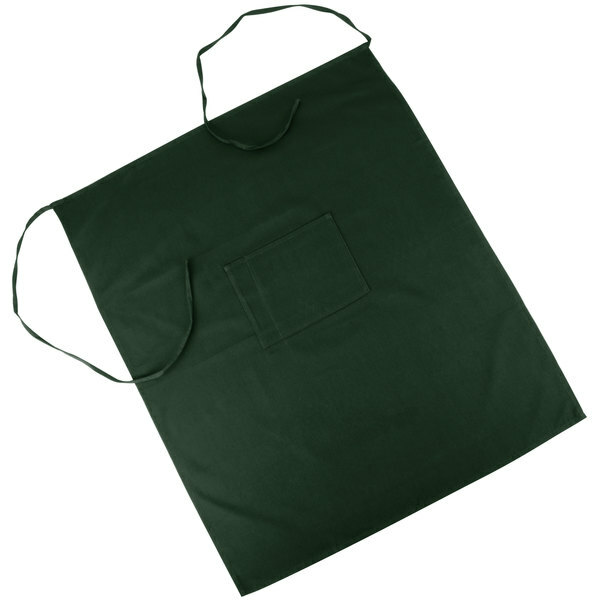 Keep employees looking crisp and uniform with this Choice hunter green bistro apron! Both efficient and stylish, this Choice apron features long ties for an adjustable, superior fit. 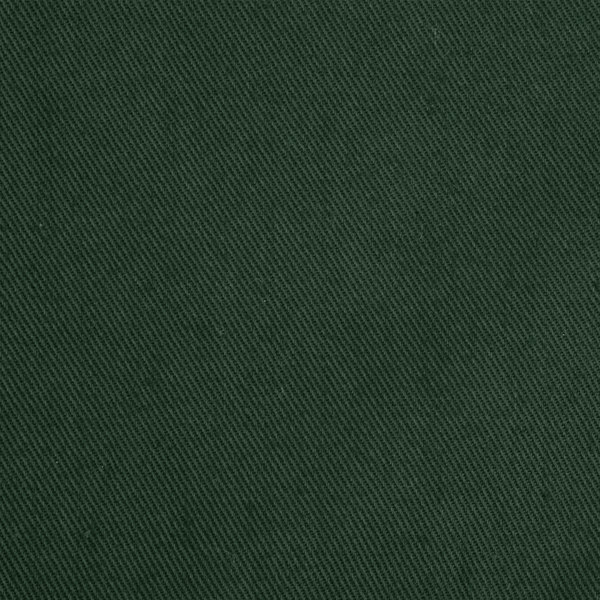 Plus, its hunter green coloring adds a classic pop of color to restaurants, bistros, cafes, and catered events. Protect your barkeep or waitstaff from inevitable messes while changing kegs, taking orders, or serving customers with this versatile apron! "These aprons are good for cooking demos! I love how they are bold and eye catching but functional and professional at the same time!!! Easy to move in them!" Made of a 65/35 poly cotton twill for exceptional durability, this apron is hemmed to prevent fraying and great for long-lasting use. 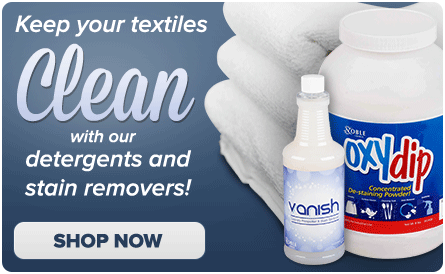 Plus, it provides an easy way to protect your staff's clothing from spills, stains, and food particles. It offers a sleek, clean look and will help create a sophisticated appearance in any establishment. 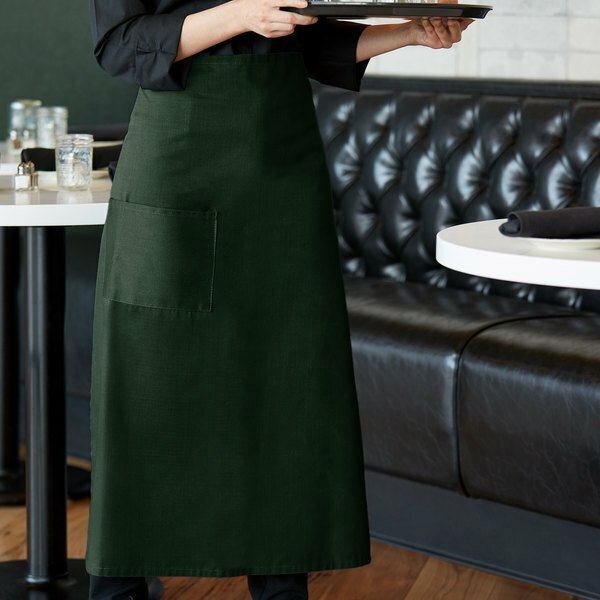 Kitchen staff will look picture perfect staying on top of hot coffee and ice water refills, running steamy tomato soup specials, and topping apple pie with a dollop of whipped cream in this hunter green apron. 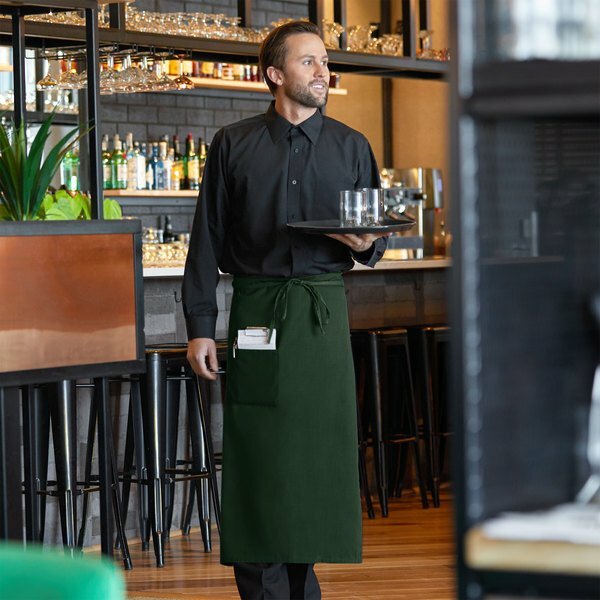 Not only does the large, divided pocket allow room for table-hopping necessities like straws, pens, and guest checks, it leaves your staff's hands free to carry multiple trays or wipe down tables, ensuring quick and efficient service. Should I wash this apron before using? For best results, we suggest washing this apron in cold water to reduce fading and bleeding. If the color does bleed, we recommend running through the wash a few more times and washing with items of like coloring to reduce any color transfer. Does this apron have a specified size? These aprons are made in such a way that they should fit most people. Additionally, the long drawstrings help ensure a proper fit and allow the apron to be adjusted to accommodate people of different sizes. Stylish and perfect for my legs, and I'm 6'3" my much shorter Sous looks great in it with the top rolled a few times. Easy to clean and looks great. Love this product. I absolutely love this product! This choice green bistro apron with front pocket is in great quality! It fits waist to lower calf on most people . This is a very simple, basic apron. The fabric is nicer than I was expecting, and it's very easy to clean if it gets dirty. This apron really fits great,and i really like the color it gods some stans an it not black which all my clothes are . I got it was on sale when I got it.. Like the pocket on it.. These aprons are good for cooking demos! I love how they are bold and eye catching but functional and professional at the same time!!! Easy to move in them! Geat apron that gives the French bistro effect, bleach out nicely and need little to no pressing. Servers love the extra long ties. Will purchase more. great long aprons. Great price and they feel is that of a good quality fabric. The prompt service is very much appreciated. Thank you for the great service.